The new Chrysler Pacifica, which replaces the reputable Town & Country minivan, uses a combination of reduced body weight, a freer-breathing, a redesigned V-6 engine, and a nine-speed automatic transmission to take charge of the minivan fuel economy world by storm. With 28 mpg highway, it is no wonder the new Chrysler Pacifica ties with competitor Honda Odyssey for top fuel efficiency! The Pacifica’s EPA rating is 18 city, 28 highway and 22 combined; the highway rating is 12 percent higher than the outgoing Town & Country, according to the FCA. Under the hood, the 3.6-liter Pentastar V-6 underwent a major redesign that adds a new variable valve timing system with multiple operating modes, both of which improve combustion and reduce the amount of effort needed to pump air and fuel into the engine and spent exhaust gasses out of it. The redesigned engine has a cooled exhaust gas recirculation system to lower combustion chamber temperatures. FCA engineers have increased the compression ratio from 10.2:1, up to 11.3:1. The larger the compression ratio, the more power an engine will have. The redesigned engine will efficiently run on regular fuel. The powertrain also some very big changes. FCA claims that the Pacifica is the first minivan with a nine-speed transmission. The Pentastar V-6 engine has become a huge success for FCA, with more than 5 million have been sold since it debuted back in 2011. 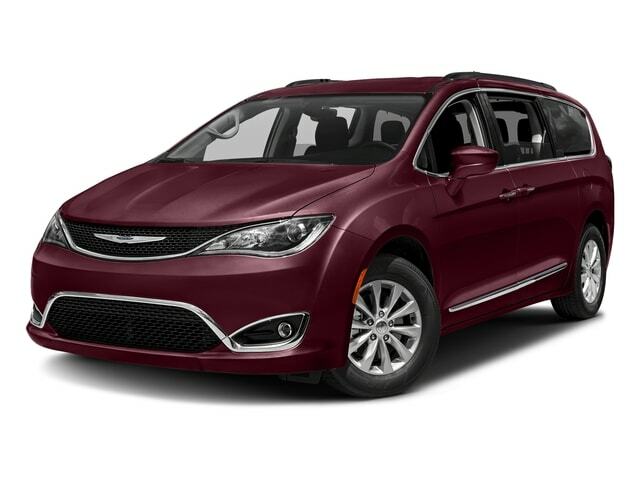 Engineers also used lightweight high-strength steel and magnesium to reduce the curb weight of the Pacifica by an amazing 250 pounds over the Town & Country. Further on in the year, the FCA plans to further improve the vehicle’s fuel economy when a start-stop system becomes available. Start-stop systems can improve city fuel economy as much as 6 percent. The FCA is also working on a hybrid version of the Pacifica due later on sometime this fall. FCA says the Pacifica hybrid will travel 30 miles on electric power alone and is expected to carry an astounding EPA rating of 80 MPGe. For more information, or to check out other new Chrysler models, stop by or call Ewald Chrysler Jeep Dodge Ram of Franklin, WI, located at 6319 S 108th St Franklin, WI 53132!